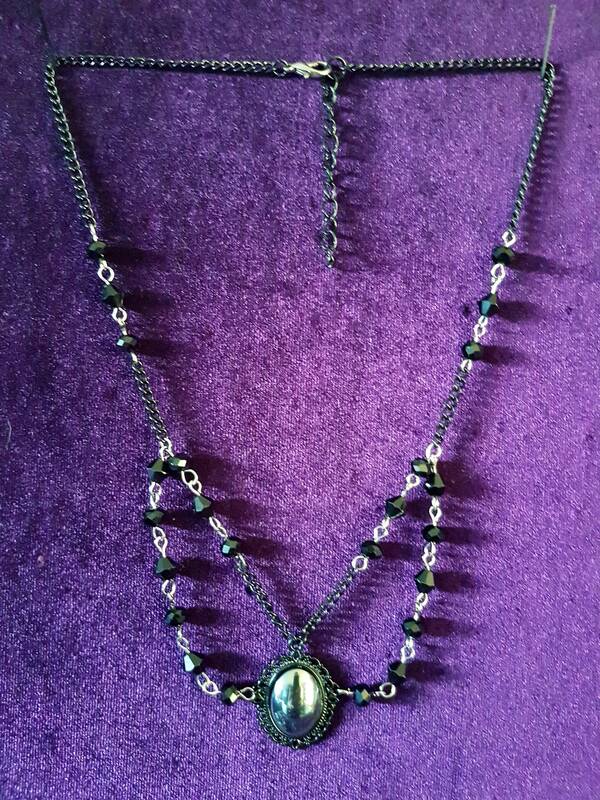 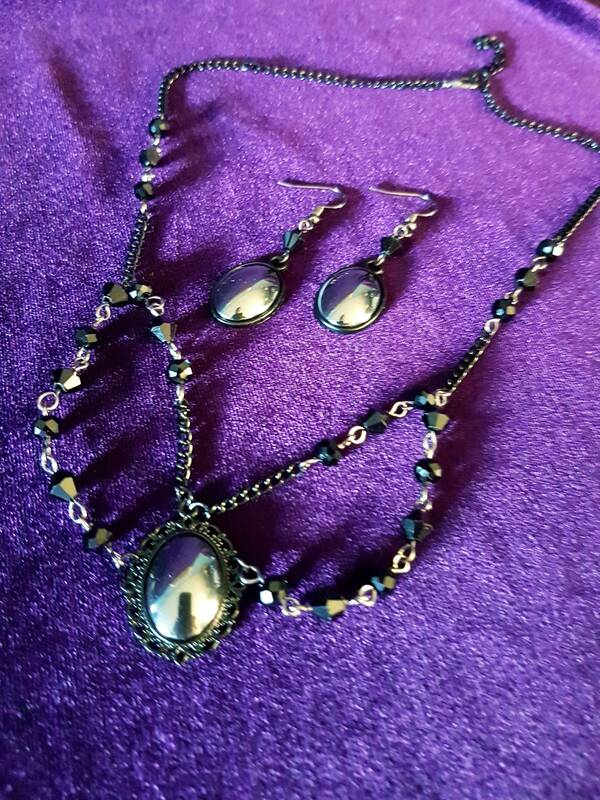 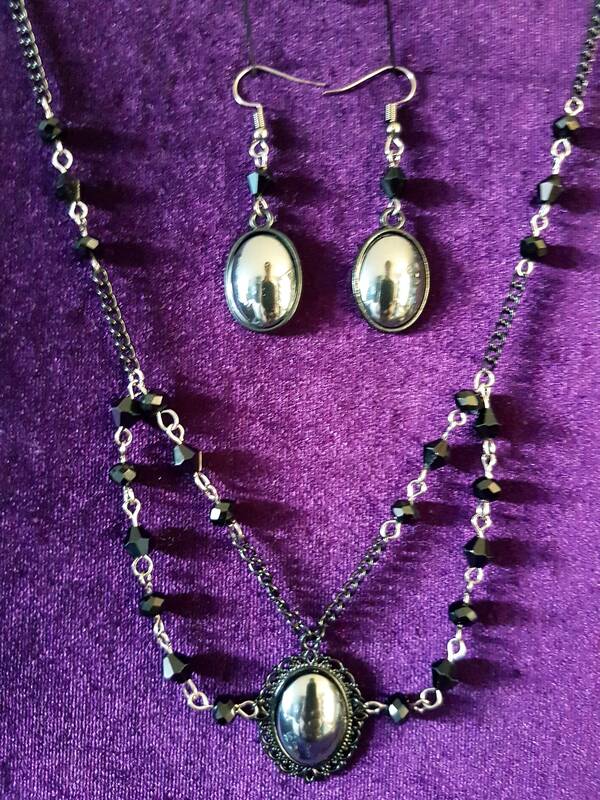 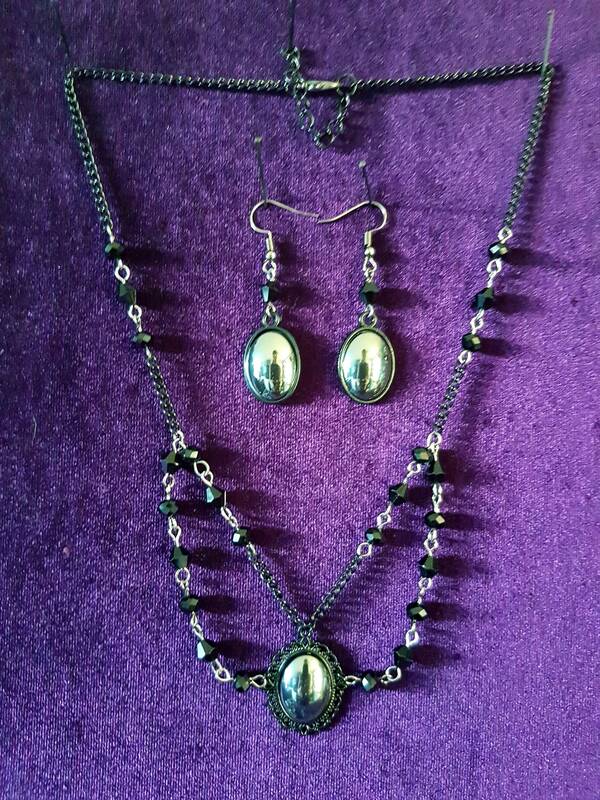 Handmade Necklace & Earrings Set. 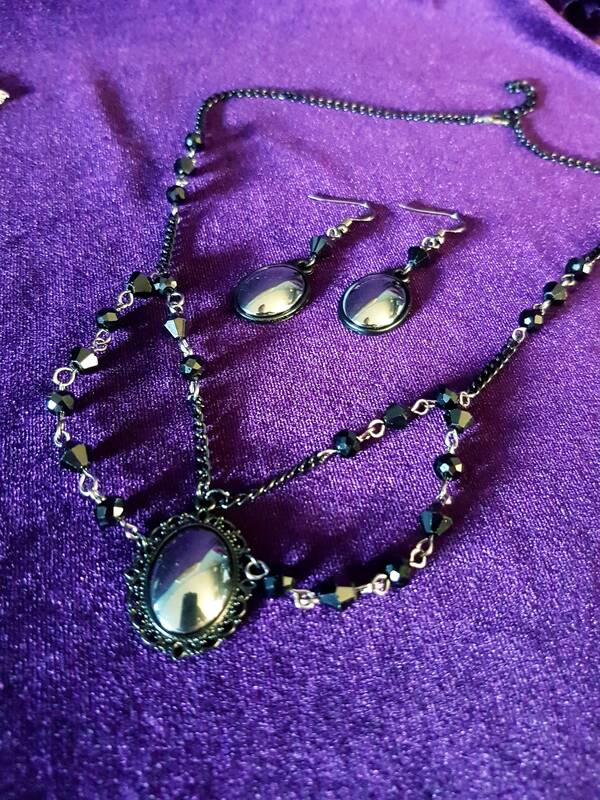 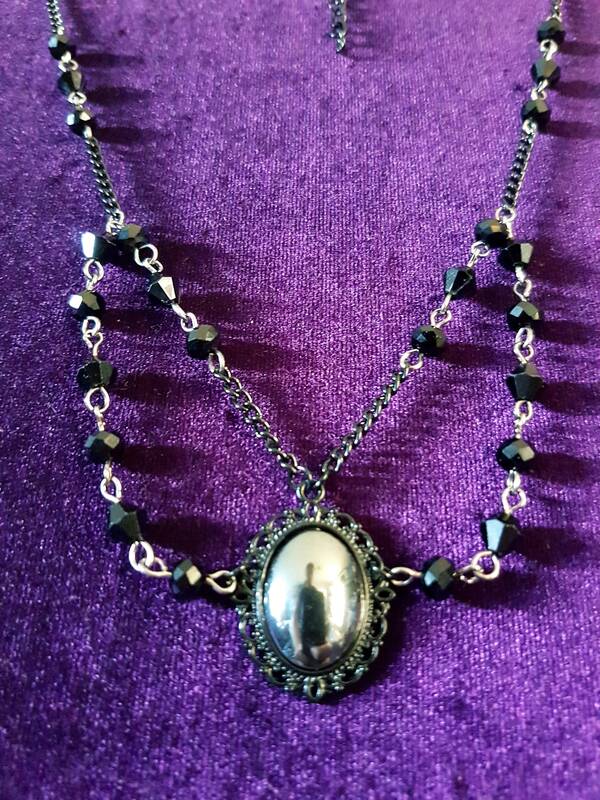 - Lots of glossy black beads. 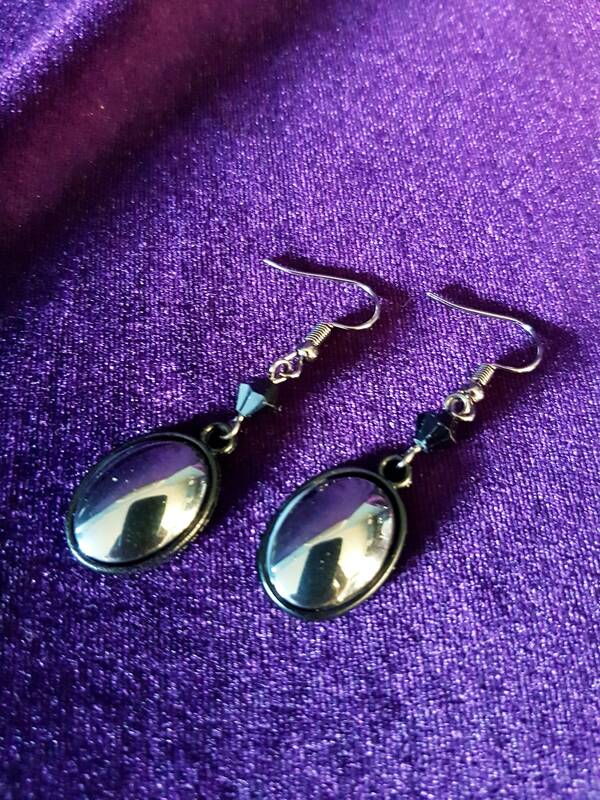 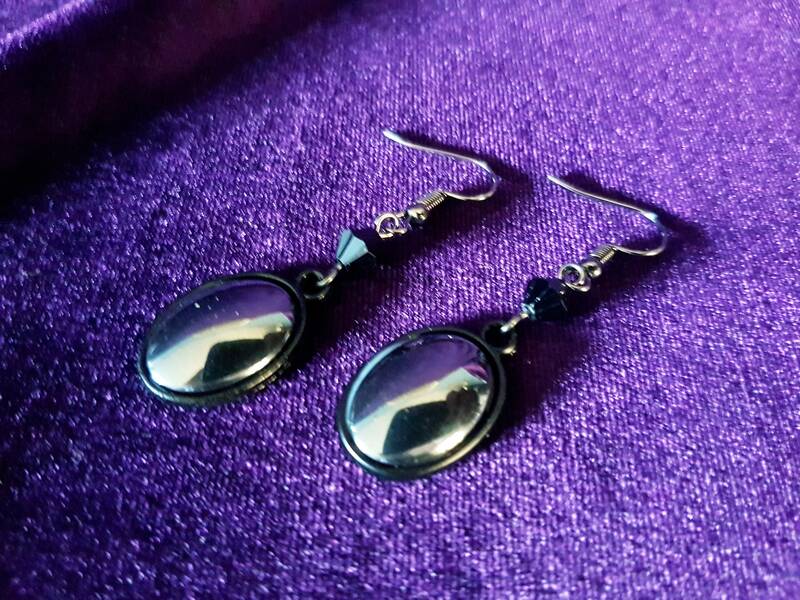 - Hematite gemstone cameo earrings. 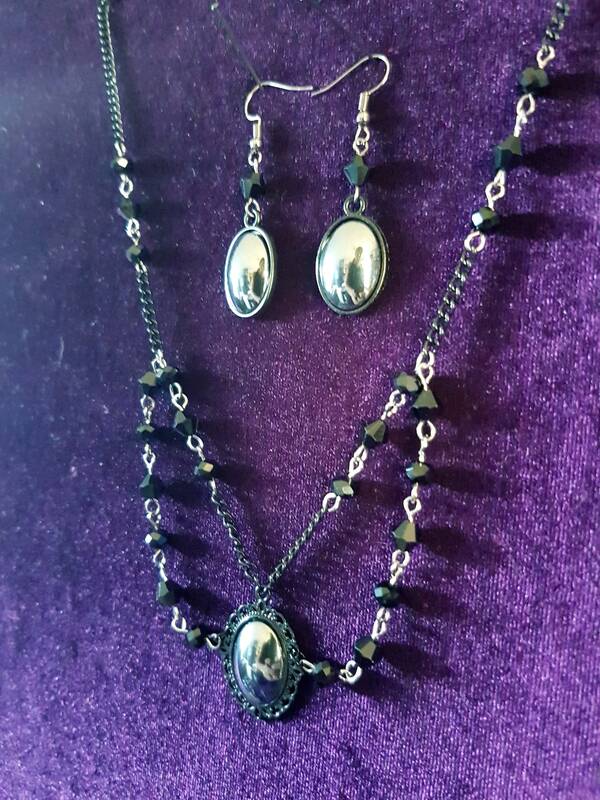 The jewellery pieces are only sold together as a set.